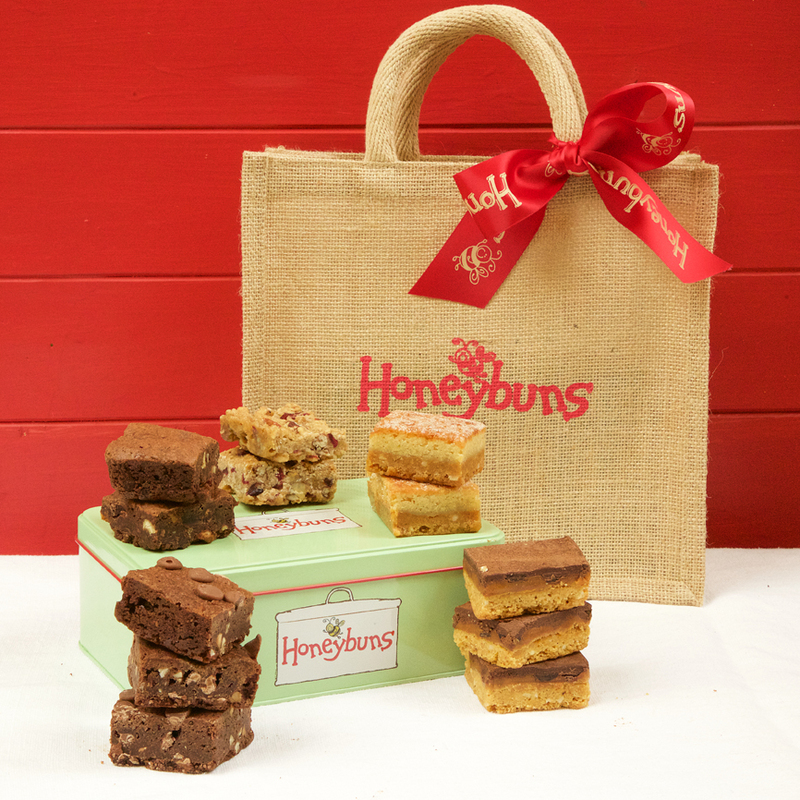 Our ever-popular mini cakes gift tin in a Honeybuns small but spacious hessian gift bag. These gluten free mini cakes are perfect for sharing...or not! Quality natural jute bag with a waterproof liner and padded handle. Size: 26cm wide x 24cm high x 13cm deep, handles 30cm. A great eco alternative to gift wrap. Comes with a Honeybuns ribbon bow on the handle.